This is the debate that many young athletes and their parents go through. Should you try to focus on one sport or play multiple sports? 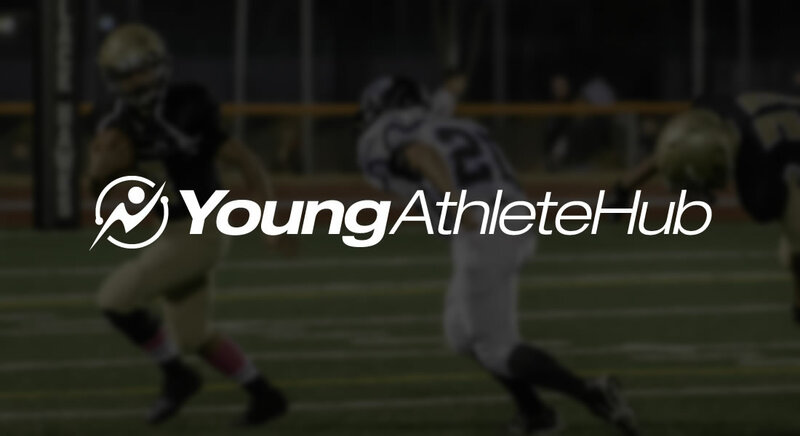 Unfortunately, nowadays athletes are having to make this decision at a younger and younger age. This is a decision I now wrestle with for my own daughter. Let’s discuss why someone would or would not want to focus on one sport. Focusing on one sport might give you a better chance to play. Let’s say you put all your eggs into one basket and say my kid is going to play one sport. If you decide to do that, what is your motive for doing so? Are you looking for a college scholarship or beyond? If so, then your athlete better have a true, sincere love for the sport. I also think that the athlete should be…well athletic. If all your eggs will be in one sport then the kid better have some athleticism to even have a shot at a scholarship. You combine those two things, plus practicing in the sport all the time, then I think your athlete will have a chance at playing at least in the high school level. A college scholarship? Well, that depends on the sport you are playing and what your aspirations are. There is financial aid out there, so the opportunities are available to secure a scholarship that is for certain. You might have to make that happen though. What school does your athlete go to? If it is a big high school, then you might have to make a fast decision to pick the sport that you have the best chance of playing. A bigger school means more competition making the team. You only play sports once, shouldn’t you play everything that you want? If you go to a small school, you definitely have a better shot of playing multiple sports. Besides, what are the chances that you will be playing in college. I’ve known kids that had the ability to play multiple sports, choose a single sport, and ended up not continuing on in college for one reason or another. Wouldn’t it have been nice to try the second sport instead of practicing constantly for your single sport? Plus that second sport skill set would have developed your overall athleticism helping you be better at your first sport. Sometimes playing football makes you a tougher basketball player, thus improving your game. What if you are actually better at the second sport? You could discover success at a second sport that gives you a better opportunity to play at the collegiate level. John Havlicek was first team all-state in 3 sports in high school before going on to a hall of fame basketball career. It can be done. I’ll be honest, this is a tough one for me to answer. I went to a small, private school and was a good athlete, so there was never a fear of NOT making a school team. Initially, I also didn’t have aspirations of playing collegiately even though as I progressed, I started garnering interest from colleges. If I had gone to the local high school, which was a much bigger school, I’d like to think that I could have played on the same sport teams that I did play and have roughly as much playing time. But, I don’t know that for sure. I think I would look at it like this. I would play as many sports as possible until it got to a point that I wasn’t having fun with a particular sport. Maybe I wasn’t playing as much or just didn’t make the team at all. At that point, I would eliminate that sport and focus on the other sports. If I’m a good enough athlete, then I firmly believe it would shine through to give me the opportunity to play at the college level. Now as a parent, the question I ask is will that work for my child? Will it be enough for my child to make her sport teams and enjoy it the way I did in high school? Or because everyone is specializing in a sport do I have to adjust to that in order for her just to make a team? That I don’t know. I will just play it by ear and see how her desire develops for her sports. If it continues to be strong then we will see what the best path will be making a decision sooner rather than later. You should do the same for your child. All in all, the specialization of a sport certainly helps me out. It gives me the opportunity to work with athletes who haven’t developed their all-around athletic skill set as efficiently as they should because they just play one sport. Because of this, I have the chance to grow my business, yet be a part of a special development for a lot of athletes. That is fun to watch. Another case is another runner I recently coached who was at the top of her level in state for XC & track (3rd at state in XC, 2nd in the 3200, 4th in the 1600, 6th in 800), but also played basketball. She went on to play collegiately in basketball, even with all her running success, turning down offers to continue running. The basketball coach wanted her for her mental toughness she harnessed in her running experience. All in all, its more about physical development, its about the metal side of it too as an athlete. The more different kinds of pressure you can handle in various sports experiences, the better you can become, especially in the individual sports like running, wrestling, etc. I think trying to decide which sport to specialize the skills of a young athlete is like building the roof for a house before the foundation is in place. The best sports for young athletes are the ones with coaches and parental support programs that teach the fundamentals of friendly competition and good sportsmanship first. What sport is best? Whatever the child likes because they all teach the same life lessons we still remember today. Individual sports are great for showcasing individual talent or lack of interest, but only the individual has to live with the results. Team sports teach us to reach higher than we thought to support our friends, the thrill of winning together, and the disappointment when someone else drops the ball. My junior high ymca football team generally won only half the games in a season. I don’t remember most of the victories. There is no glory in steamrolling weaker teams. However the games I still vividly recall were the hard battles our tough group of misfits almost won against the best teams. We could see the fear in their eyes as the clock wound down. Then as the game ended and the victors dragged themselves off the field with their chins on their chests we all new deep down we had not lost the game but rather brought out the best of the best in the true spirit of competition. A couple of great comments. I think it is a debate that won’t be solved anytime soon. I was talking with some coaches this weekend and everyone wants to encourage the multi-sport, but more and more the pressure is to go one sport or be left behind.